Mettler Toledo, Nänikon, Switzerland, will on Stand 1-214 at POWTECH be featuring RapidCalTM : a new method of tank scale calibration which saves up to 80% working time compared with traditional methods. It also avoids waste of de-ionized water that is typically used for flow meter calibration. The new system replaces time-consuming and cumbersome test-weight, flow-meter or material-substitution methods. Instead, downward force applied with hydraulic equipment mimics tank-scale loading during normal operation. By doing the calibration this way, piping- and understructure-influences are taken into account and this ensures higher calibration accuracy. In fact, the RapidCal reference system has 0.1 percent accuracy. Reference load cells provide traceability to applicable standards. RapidCal also avoids the tedious tank- emptying and -cleaning of material substitution, which in turn eliminates contamination risk and disposal costs. The effective downtime of a facility is limited to a few hours per calibration. There is no need for expensive de-ionised water, which has either to be disposed or stored after completion of the calibration. 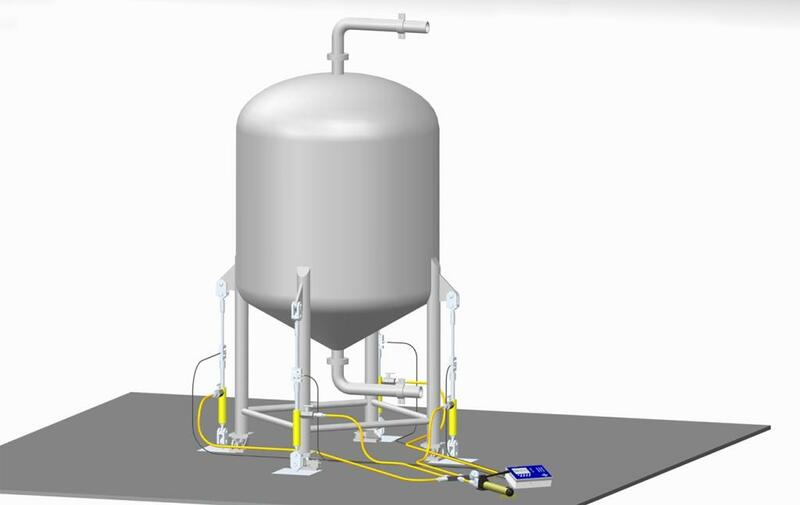 In short, with RapidCal, owners of tanks and silos gain higher inventory control accuracy while reducing calibration-related costs. Further information and a video are available at: www.mt.com/ind-RapidCal.